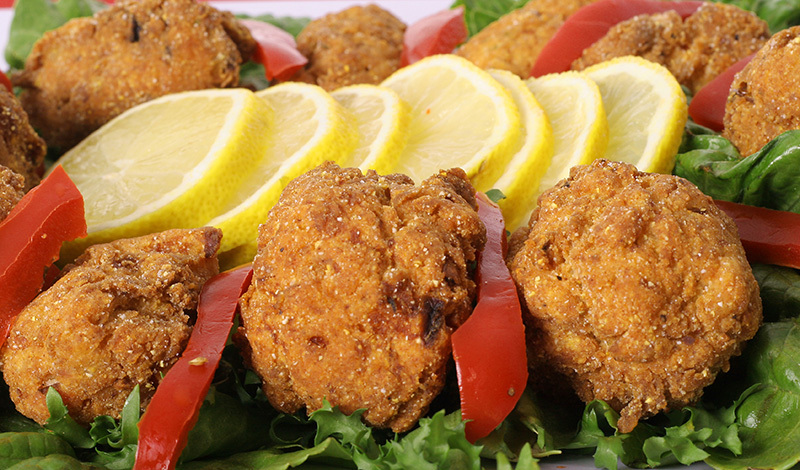 Here’s a recipe from Allrecipes for a FLoco special: gator fingers (to eat, not hold). Alligator meat tastes like chicken, and two kinds of pepper give these fingers a real kick. We recommend buying the meat locally rather than wrestling it down yourself. Add to a large re-sealable bag the flour, cornmeal, garlic powder, cayenne pepper, and black pepper. Squeeze off excess liquid from meat, and add one handful of meat to the re-sealable bag. Shake to coat. Remove meat, shake off excess flour, and set on a plate. Repeat with remaining meat.